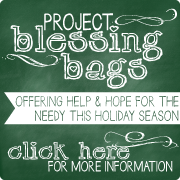 I am grateful for the opportunity to pray with and for our sweet blog readers. It truly is a privilege! I love being able to go to boutiques and conferences and meet customers face-to-face and be able to share about Prayer & Praise Monday. It is a blessing to have a way to get people praying all over the country. For those who are in Christ, it really is a small world! • Does it get any cuter than this face? 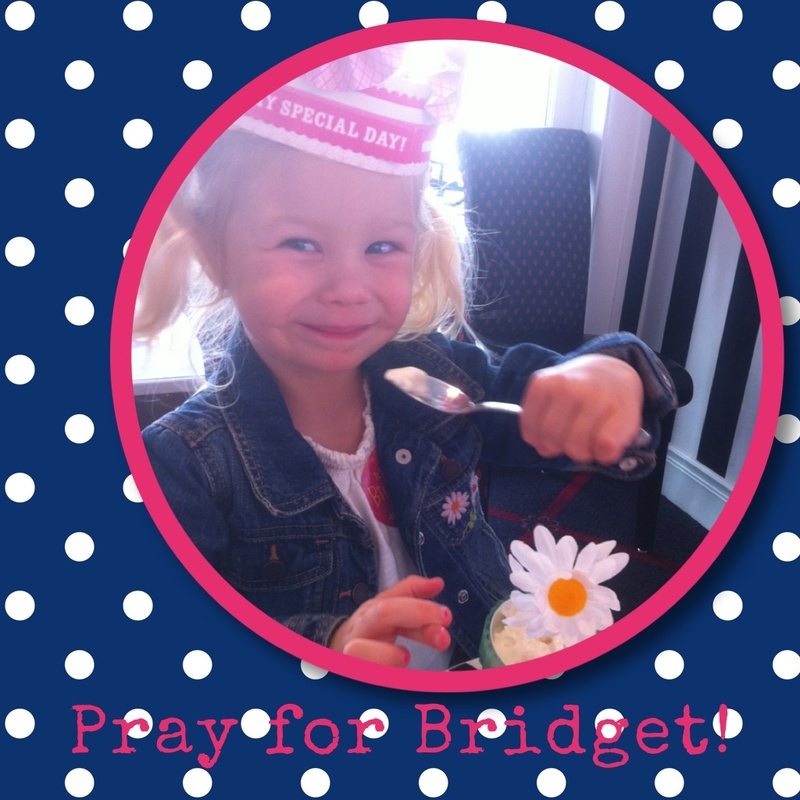 Please pray for sweet Bridget. She is a very close family friend (more like a little sister to my kids) and at the young age of 2 1/2 she is facing her third eye surgery this Tuesday. Bridget was diagnosed with a cataract at the age of one. Two prior attempts to correct her vision have been mostly unsuccessful. Please pray for wisdom and a skillful hand for the doctor who will perform this surgery. The plan is to remove her lens, which is tilted. She will then use a hard contact lens to correct the vision until a replacement lens can be put in during a later surgery in her teen years. Pray that the Lord will miraculously restore Bridget’s sight so that she can have complete vision during these formative years. Pray that God will receive all the glory for this procedure! Please pray for a peace that surpasses all understanding for Bridget and her parents, Joyce and Jason. They would also appreciate prayers for wisdom on whether or not to proceed with the surgery as planned. Bridget has a runny nose today so they are discussing with the doctor whether or not it is a good idea to put her under anesthesia tomorrow. Pray that Bridget would have no unpleasant side effects from the anesthesia and will recover quickly. • Ree is still recovering from her fall and broken wrist. She updated me this week to share that her hip replacement surgery has now been scheduled for the morning of April 3rd. Please be in prayer for her as she has to patiently wait and live with pain until then. • I would love prayers for my family as we have a trip planned to the mountains this coming weekend. It is the first time my 7-year-old and 5-year-old will have ever seen snow! We don’t get away too often so this is a big deal for us. Please pray that the Lord will bless us with good health so we can travel and safety and protection as we drive on unfamiliar mountain roads. I’m also praying boldly (because the Lord knows the desire of my heart!) that we will have the opportunity to actually see snow falling! It’s kind of been a dream of mine. Right now snow is forecasted for Tuesday and Wednesday but not over the weekend. I know it is a silly dream, but God can work a miracle! • Pray for your pastor this week! Ask the Lord to provide rest and refreshment throughout the week and to sustain him as he gives so much of his time, energy, and mental resources to shepherding the flock. Pray that he would be insulated from spiritual attack. Pray for the ability to maintain a proper balance of priorities between church and his own family. Thank the Lord for his faithfulness to the Word. Then take a minute to bless your pastor with a quick email or phone call and let your pastor know you are praying! Molly, thank you for your faithfulness in prayer. We will be praying for dear sweet Bridget as well as Joyce and Jason. Wonderful idea to let our pastor know we are praying for him right now too. Thank you for your prayers for my brother Steve. Waiting to see how God moves in his life. Love you girl.